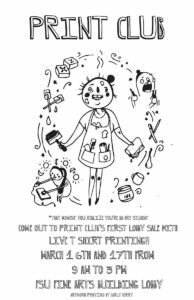 The FSU Print Club will be hosting a sale in the Fine Arts Building lobby this Wednesday, March 16 and Thursday, March 17, from 9am – 3pm. 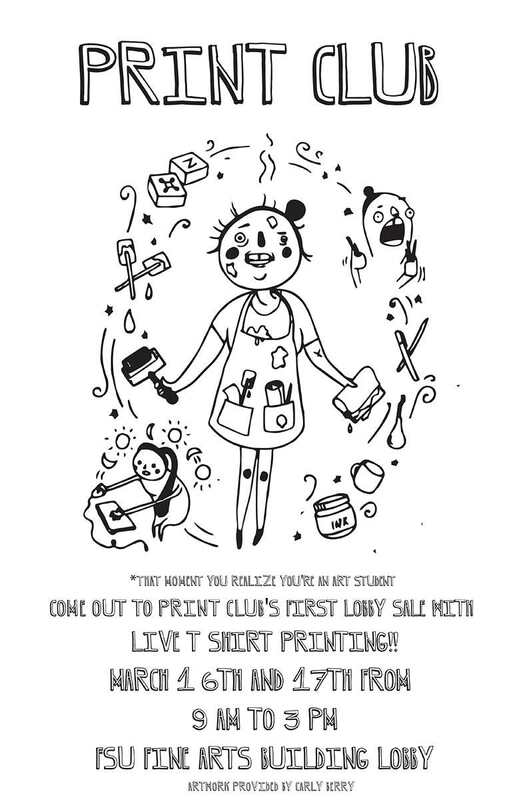 There will be prints, notebooks, stickers, odds & ends, and live t-shirt printing! Proceeds will go toward funding involvement with the annual, international printmaking conference (SGCI), which is hosted this year in Portland, Oregon!